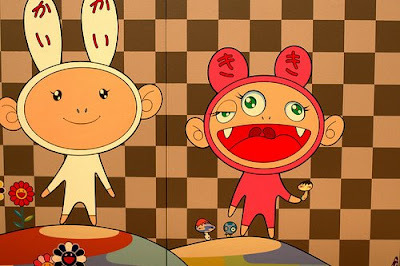 These are three recent comments on the Brooklyn Museum website about the exhibit by Takashi Murakami, which I managed to catch on the final day of its run last weekend. 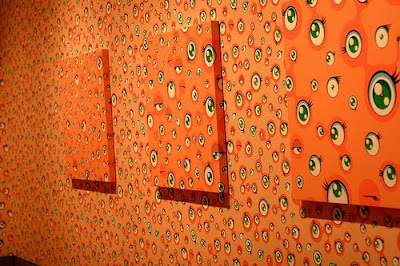 The retrospective show captured the Japanese artist’s work in all its superflat, candy-coloured, eye-popping glory. 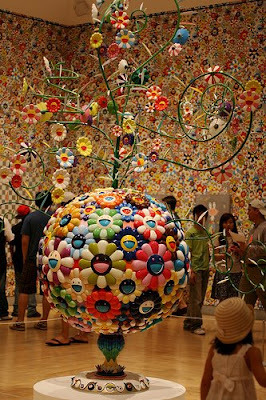 The technical skill involved in these intricate, gargantuan works is formidable. 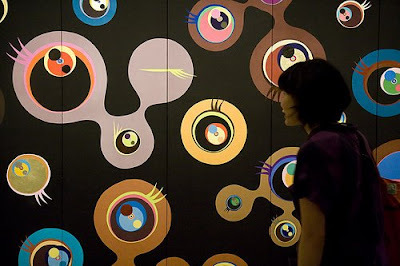 I spent a few minutes peering up close to ascertain whether they were screenprinted or handpainted – sometimes it was hard to tell. 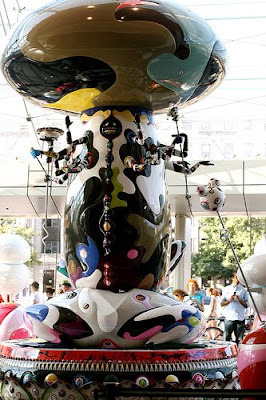 For those who missed it, the Brooklyn Museum has some highlights online, including a timelapse video of the installation of Murakami’s Tongari-kun (Mr. Pointy) in the museumâ€™s Rubin Pavilion (see below). 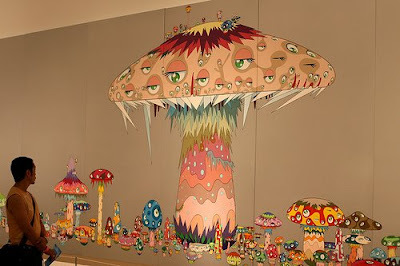 The show was previously at the Museum of Contemporary Art in Los Angeles, which has a great collection of videos of the artist giving tours of the exhibition. 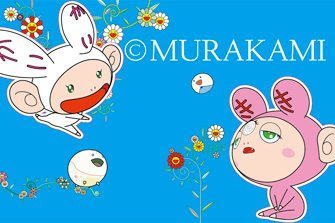 The MOCA also has a special preview on YouTube of part one of Murakami’s new kaikai & kiki animated film and a video interview with designer Marc Jacobs talking about his collaboration with Murakami for Louis Vuitton. 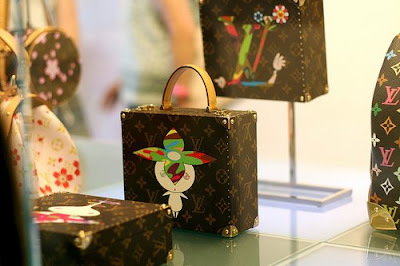 The exhibition included a gleaming, white-panelled Louis Vuitton store selling collector’s-edition handbags and Murakami’s new Monogramouflage range. 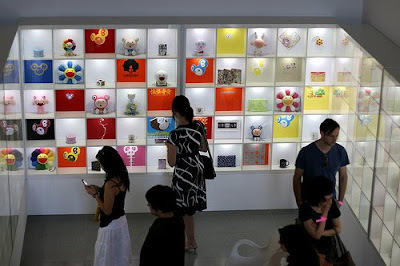 It also featured a display of the merchandise that Murakami sells under his art production company, Kaikai Kiki LLC. One thing I noticed looking at these museums’ websites was just how much they are embracing the Web as an additional forum to share their collections with the public. The Brooklyn Museum has begun adding some of its archival photography to The Commons on Flickr, and is encouraging its visitors to upload and share their images to its Flickr group. In fact, thanks to ego technique, mayotic and flotsam/jetsam for all these lovely photos!